Contact Miami Injury Lawyers Gerson & Schwartz, P.A. When injured in a Miami accident you likely will need to contact the best Miami Florida personal injury lawyers you can identify. Your injuries may change the course of your life. If your injuries are severe, nothing will likely be the same anymore. That will also affect your family, friends and co-workers. Not just because they care about you, but because they may lose the financial and emotional support that you provide. It may be possible to be compensated by the liable person, but there is demanding work to be done before getting it. At the Gerson & Schwartz Law Firm we have helped personal injury clients for decades. Every day we see defendants who try to avoid responsibility for their deeds and actions. They simply don't want to pay for your damages and losses even though they have caused them. They would rather pay a lawyer to defend them instead of paying you. We invite call our Miami personal injury attorneys at Gerson & Schwartz. We are available for free consultations at (305) 371-6000. Defendants and insurance companies will frequently fight you every step of the way. That's why you need the best personal injury attorney in Miami, Florida. The do-it-yourself approach hits a wall when faced with a seasoned defense lawyer or a cold-hearted insurance company on the other side. Check out their online reputation. Clients leave reviews for experiences with lawyers on services like Avvo.com and others. A quick Google search will take you to these reviews and let you know about their performance for previous clients. Close your eyes to advertising. Some lawyer has paid to appear on TV or a billboard. Does it mean that he wins cases every day? No, it means that he has paid to be there. That's why you should skip advertising materials or at least take it with a grain of salt when choosing a lawyer. Ask for previous experience. If you are looking for the best Miami personal injury lawyer, then you want to work with someone who has experience behind them. Avoid the attorneys who are getting their feet wet in the personal injury law practice. Don’t let them learn on your case. It’s too important for you. After all, no one wants to be a surgeon’s first operation. Same goes for personal injury lawyers. Ask if they are specialized in personal injury cases. Jacks of all trades have some knowledge of everything, but a real in-depth knowledge of nothing. The same may apply for attorneys with more than one practice. The more specialized the lawyer, the more likely they will have better knowledge and experience in cases like yours. Do they handle cases on a contingency basis? If you don't have money to invest in what may be a long legal procedure in front of you, then you'll want to hire a lawyer that works on a contingency basis. That means that they finance your case and don't receive fees unless they get you compensated. If they win, they get a share of the compensation. If they don't win, they don't get money, so there is no invoice for attorneys’ fees for you. The Miami Florida personal injury attorneys at the Gerson & Schwartz Law Firm are available for free consultations at (305) 371-6000. We handle cases on a contingency basis, which means that you pay nothing unless we recover for you. 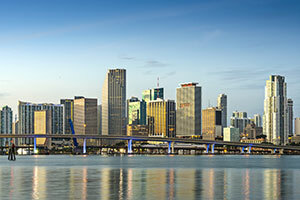 We also serve the communities of Miami, Aventura, Kendall, Hialeah, Coral Gables, Doral, Miami Beach, Key Biscayne, Homestead, Tamiami, Opa-Locka, Miami Lakes, Westchester, North Miami and Fontainebleau.